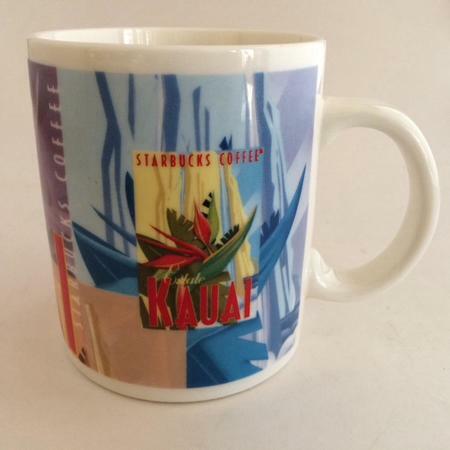 One of five in the Hawaii Stamp Mug Series (Kauai, Hawaii, Maui, Kona Blend, and 100% Kona)). Kauaʻi or Kauai[a] is geologically the oldest of the main Hawaiian Islands. With an area of 562.3 square miles , it is the fourth largest of these islands and the 21st largest island in the United States. Known also as the "Garden Isle", Kauaʻi lies 105 miles across the Kauaʻi Channel, northwest of Oʻahu. This island is the site of Waimea Canyon State Park. The United States Census Bureau defines Kauaʻi as census tracts 401 through 409 of Kauaʻi County, Hawaiʻi, which comprises all of the county except for the islands of Kaʻula, Lehua and Niʻihau. The 2010 United States Census population of the island was 67,091. The most populous town was Kapaʻa.